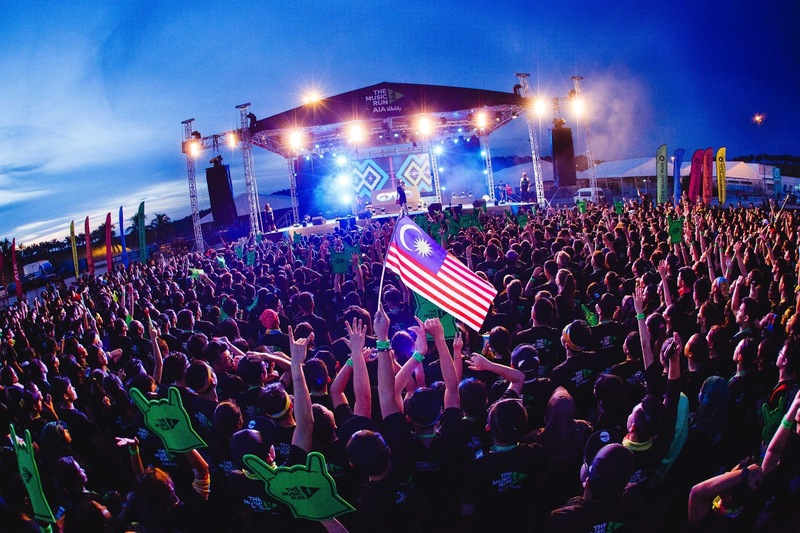 Wendy Pua | Malaysia Chinese Lifestyle Blogger: Prep YourSelf for The Music Run! 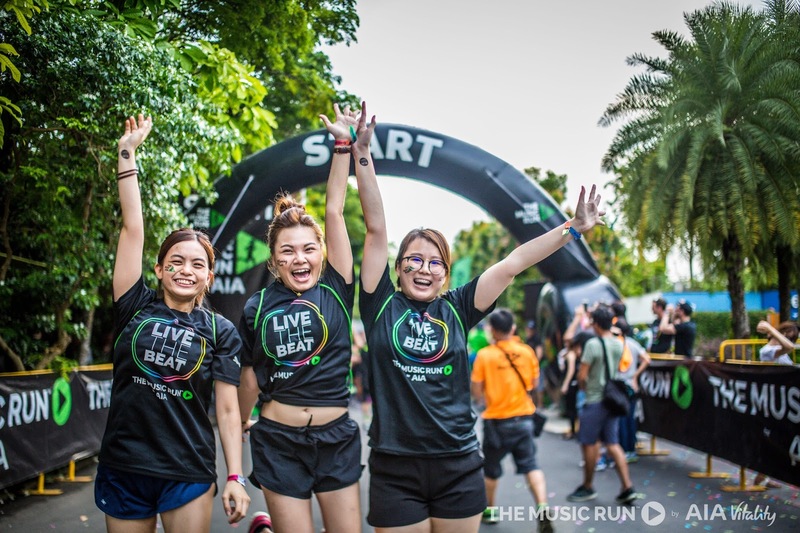 If you haven’t already heard The Music Run™ by AIA Vitality is returning to Kuala Lumpur for its fourth edition this November 4th! This time with major upgrades for Music Runners. The annual run is kicking things up a notch with the addition of a new timed 10k track for runners who want to take their fitness game to new highs. Whether you are walking a gentle 5K, running the 5K or training for the 10K run, preparation is key to crossing the finish line this 4th of November. Get ready – Don’t wait until the morning to get your ready. You don’t want to take too much and be laden down but you want to be prepared for all eventualities. The plan is to pack light but be prepared! The list might include: clothing, trainers, towel and clothing for afterwards, water, snacks, plasters, muscle supports if needed, money, phone, holder for valuables, and any medication. Good night’s sleep – Pre-run nerves are normal, especially if you are a first timer. The 5K and 10K runs are all about having fun and taking part. So try to relax as much as you can and enjoy a good night’s sleep before your run. Food for fuel – Plan what you will eat the day of your run and be sure to time your breakfast so you do not get cramps. Listen to your body and you will know whether you need an energy snack before your run. You may have been told to load up on carbs, but don’t forget protein is just as important. Dynamic Stretching - Dynamic stretching, as the name implies, involves movement and muscular effort for the stretch to occur. While static stretching takes a muscle to its full length and holds it there for 15 to 60 seconds, a dynamic stretch takes soft tissues to their full length and rather than holding it, after a brief pause of 3 to five seconds, the muscle being stretched contracts and the muscles and tendons exert a force in that lengthened position. In this way we can lengthen the muscle, strengthen it in its new range, and also work on balance and coordination. It also provides a good warmup before a run. Hydrate - You will undoubtedly need to replace sweat with fluids after a run so what should you drink and when? Water, diluted juice and sports drinks are all good fluid replacers. If you've been running for less than an hour, plain water is a good choice, but, if you have been running hard for longer than an hour, drinks containing sugar and sodium may speed your recovery. 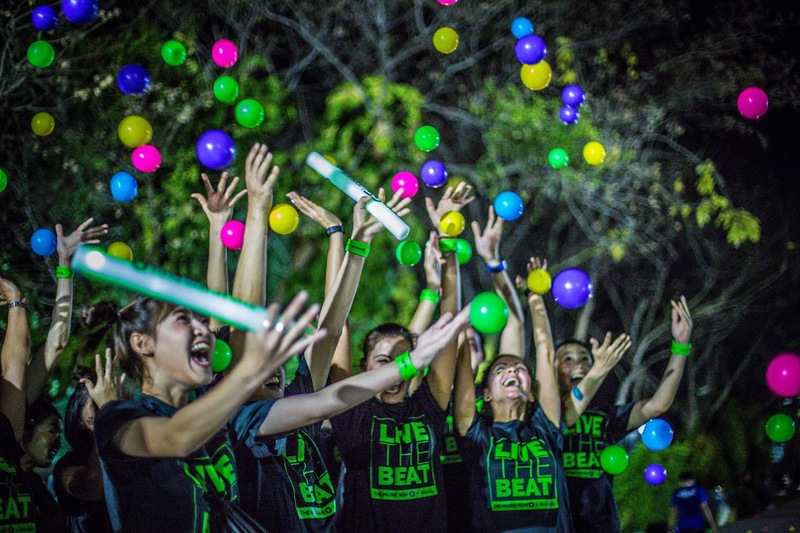 Live The Beat - Most importantly, HAVE FUN and #LiveTheBeat. 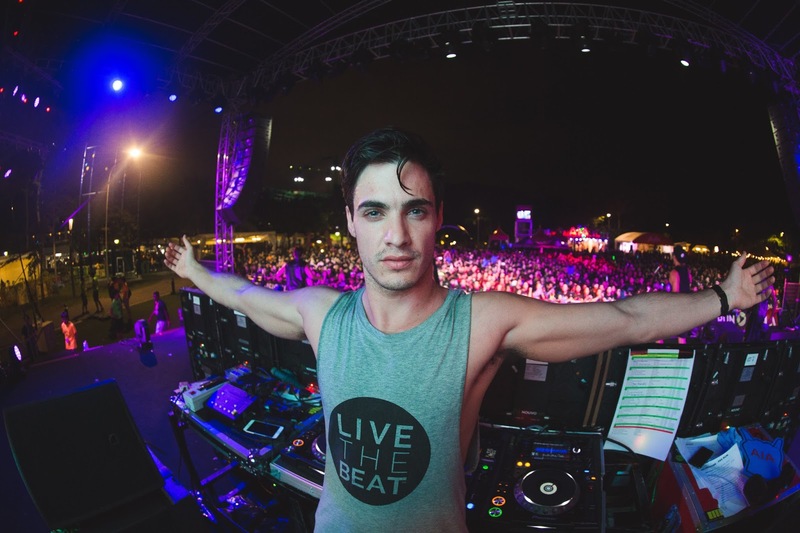 Dance to the tunes of DJ Sam Withers from Australia at the electric finish line party. After all that running, you deserve nothing more than to celebrate the night! 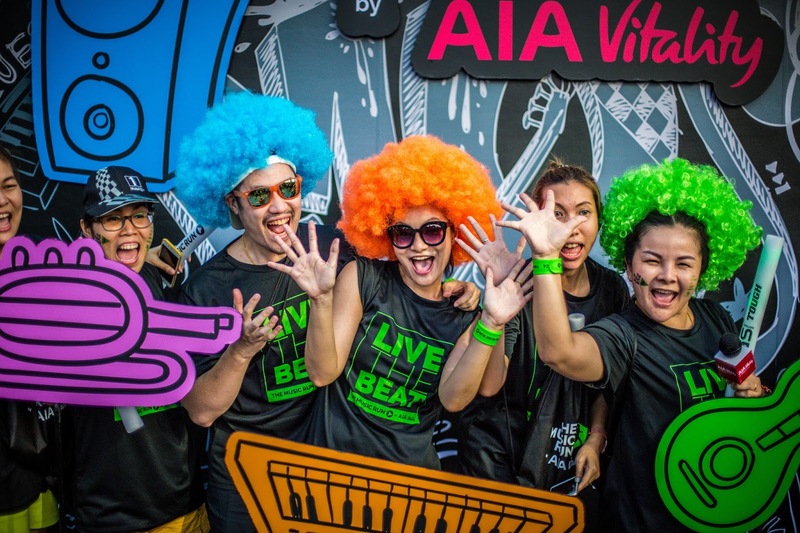 So that’s how you can prepare for The Music Run™ by AIA Vitality next weekend! Best of luck and have lots of fun. Don’t forget to #LiveTheBeat while you’re at it! This is super fun! I really wanna join but not now. i need more time to prep myself for this kind of event. haha. Menarik! Tak pernah lagi join larian macam ni. Harapnya kalau ada peluang mahu juga sertai! Kalau bawak kawan-kawan sekali mesti lagi havoc. Woohoo! Wahhh sure meriah n happening, sayangnya sis tak boleh nak join. Hv fun ya! Sangat meriah muzik run ni begitu semangat sekali semua orang nak belari kat sana..
Never join any running event. The Music Run seems fun! After done running, celebrate the night with a party! Awesome. Ruby join! See you! Nanti bleh selfie banyak-banyak! See you next week Wendy during the run. Am gonna make up my face with colors too!